Although Olga Orozco has won almost every major literary award from her native Argentina and her work has been translated into 15 languages, no single volume of her poetry exists in English—until now. 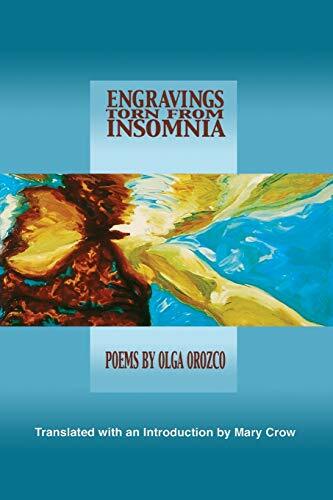 Award-winning translator/Colorado Poet Laureate Mary Crow has chosen the finest of Orozco’s poems for this long-awaited Spanish-English bilingual collection, Engravings Torn from Insomnia. 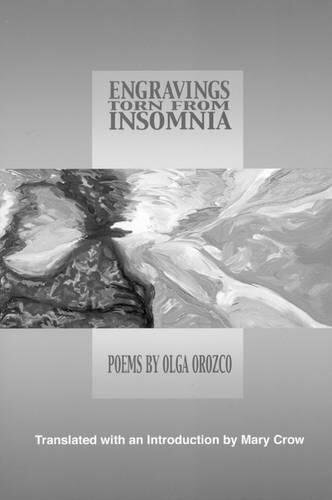 Olga Orozco is the author of 20 books of poetry. Her work makes use of surrealist techniques as well as the vatic voice of primitive poetry. She died in 1999. Mary Crow has published several award-winning translations. She teaches at Colorado State University and is the Poet Laureate of Colorado. Crow is the author of Borders and I Have Tasted the Apple.